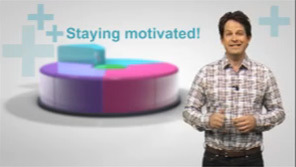 How motivated do you feel today? How inspired do you feel right now? We all work better when we are feeling positive and motivated. Work and career choices are not easy at the moment - competition is tough. By taking some action, even a small step, you can feel more in control and positive about your future. Watch these videos to give you some ideas of how others have taken their positive steps. These people dug deep and found something that made them take control of their futures. If you need to make a start - ask yourself these questions? When do you feel happy or enthusiastic? What would like to do if you knew that you could not fail? What did you want to be when you were much younger? What is really important to you right now? Making a note of these things can help. Why not talk to someone you trust and share your hopes and dreams with them.